For Honor Update 1.07 for PS4, Xbox One and PC is now available for download. It adds Season Two, Shadow & Might, which includes two heroes, two maps, new customization items for all heroes, and gameplay updates. 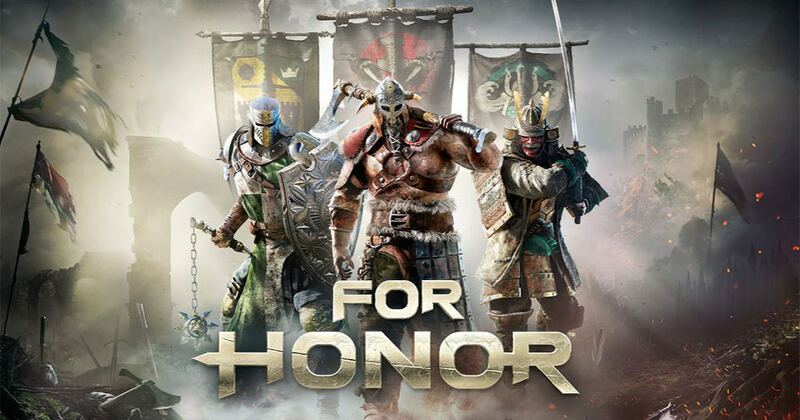 Season Pass owners have immediate access to the new heroes, Shinobi and Centurion, while everyone else will be able to unlock them for 15,000 Steel each beginning on May 23. The latest update balances fighters, bring frame-rate improvements in game menus and during matches, the activation of Join-in-Progress at the end of the match, and more. Added the option to customize stick dead zones. With For Honor Update 1.07 all characters are no longer able to maintain Sprint state while not actually moving. With For Honor Update 1.07 zone Attack can’t be feinted if performed Out of Guard mode. Stamina cost reduced to 40 (from 60). Minimum loss = 36 stamina points. Maximum loss = 66 stamina points. With For Honor Update 1.07 victim’s stamina regenerate after the entire attack is over, not before. For Honor Update 1.07 fixed an issue causing the guaranteed Swift Justice Finisher to trigger without a hit on the previous attack. Shoulder Bash Re-enabled switch target on startup. For Honor Update 1.07 resolved an issue causing characters to stay stuck in Beacon placement mode. [Gear] Overall Gear Stats revamp (remove, merge and re-arrange stats) and update existing stat bundles. UI change to represent gear stats. Added an icon override option for controllers in the user interface options. Valid values are [0.0 => disabled, 30.0, 60.0]. Fixed an issue with controllers not being recognized while playing the steam version and having the steam “Xbox/PS4/legacy gamepad configuration” active. Fallen team mates can only be revived once per round. Shoulder bash [Bug Fix] Shoulder Bash now allows you to switch targets during the charge again. For Honor Update 1.07 for PS4, Xbox One and PC download size is around 10GB-14GB depend on your platform.